Our Unsystematic Health Care System presents readers with a comprehensive overview of the U.S. health care delivery system. Significantly revised and updated, the fourth edition explores the implementation of the Affordable Care Act, or "Obamacare," as it unfolds—including both challenges and successes. Grace Budrys traces how dissatisfied Americans have been with the country’s health care arrangements and the continuing changes of health care reforms.The fourth edition examines the impact the Affordable Care Act has had on the U.S. health care system since it was enacted in 2010, including efforts to identify the appropriate indicators to gauge the law’s effects. As in previous editions, the book introduces readers to health insurance arrangements in the United States, including private and public health insurance plans, then compares our health care system to those in other countries, which often have better patient outcomes and lower cost. 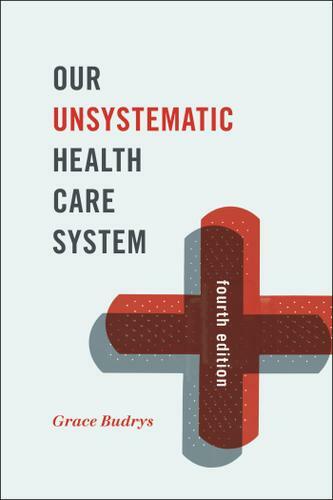 The fourth edition points out the factors outside of the health care system that might play a role in explaining why Americans do not enjoy better health and longer life expectancy.Our Unsystematic Health Care System is an ideal book for introducing readers, especially students in courses such as medical sociology, public health, or health policy and administration, to the basics of the complex U.S. health care system in an accessible way.